Big Wheel Building: Testing one, two: Science. We took advantage of continued high pressure in the alpine to sneak in a Friday afternoon ride, then camped up high so that we could ride again first thing Saturday morning. Riding at sunset and into the evening was, is, delightful. A lack of wind and a dearth of humanity lent a special sort of feeling: Private yet welcoming. Silent yet alive. Conditions the next morning were still firm but the clear skies had been replaced by scud that the forecasters told us was bringing feet of snow. 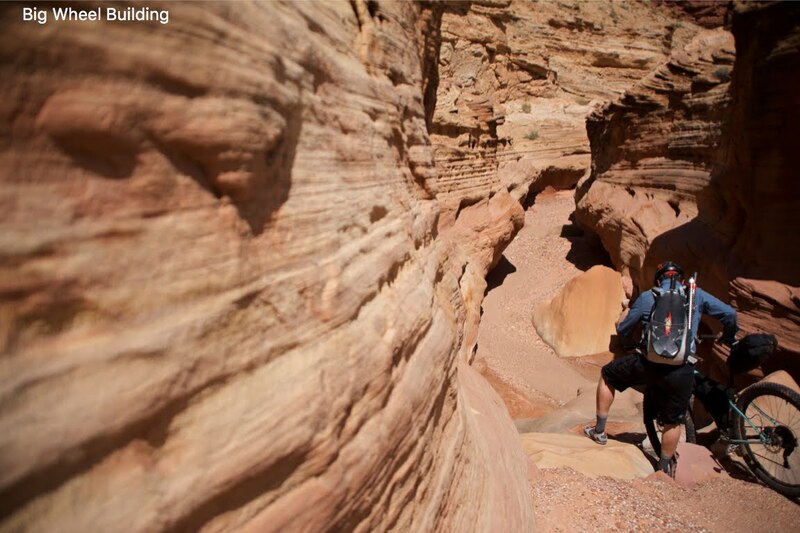 We also knew that because it was the weekend, the trails would be busy by mid-day. So we motivated early to get some science done. The test that I devised to compare these two tires was pretty simple. We have identical bikes with identical widths of rim. We, however, are not identical -- not in size, nor weight, nor wind resistance, nor reaction time, nor power, nor skill. Completing an XC loop didn't make much sense, because we couldn't control for power output, nor braking points on hills, nor ability to carve corners, nor changing conditions over time. In an effort to control for every variable possible, we determined that Jeny and I would coast down a short, sorta steep hill and out into the flats beyond, starting from a precise point each time, never touching the brakes, never pedaling. Your basic "rolldown test". We kept things consistent by always riding with our seats at the same height, never tucking, always keeping pedals level. When we rolled to a stop we'd lay the bike down, then precisely measure the distance rolled. To facilitate ease of measuring we chose a baseline distance that coincided with a trail marker, then measured to that marker. 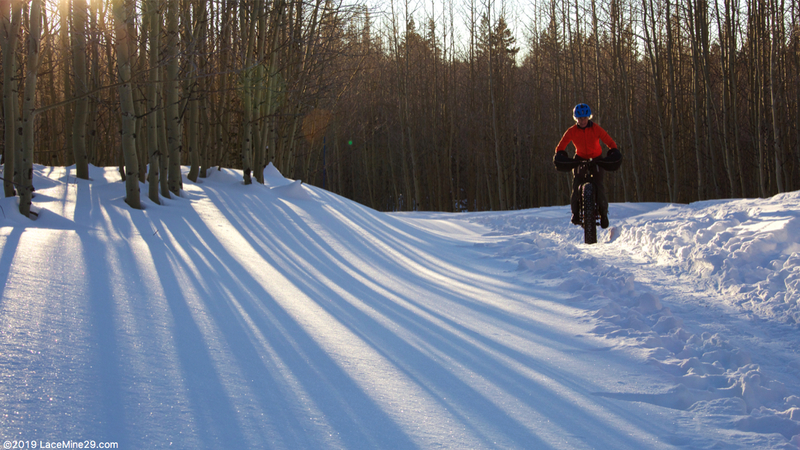 We started at 4psi in all 4 tires -- a pressure higher than we ever use in any given snow year -- and figured that since the trail was groomed 30' wide we'd just move over onto an unused part of the corduroy for each lap. We quickly learned, courtesy of wildly varying distances rolled, that the snow was far less uniform than it appeared to the eye. 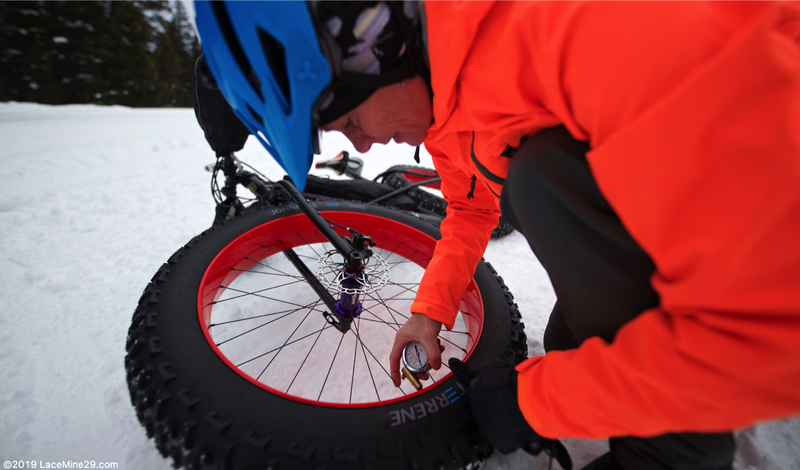 Snowmachine ruts, chunks of ice left from the groomer, invisible soft spots and tiny wind drifts could slow or deflect our tires in seemingly small ways but that accounted for relatively big differences in speed. We even had a few moments of tailwind that could have affected things by a few feet. Even though we were neither pedaling nor braking, our distances rolled varied by as much as 40' from lap to lap. After a brief discussion, and considering how firm the trail was, we decided to throw out those first several laps, and do several more laps *each on the same identical part of the packed track*, until the numbers started to be consistent again. Basically we packed our own track, and then stayed within that track from then on. Every few laps I'd stop and scratch at the surface in various places, as a means for determining whether the track was changing in any meaningful way. I can't definitively say that it wasn't, but I couldn't see where it was. Once we were certain that the trail was consistent we started measuring the distance rolled for each of us. Then we switched bikes and did several laps that way, marking the precise distance of each lap. Then we dropped the pressure to 2psi, and did 6 laps that way. Then we dropped to .6psi and did 6 laps there. We both noted as the test progressed that the seemingly unusual amount of high atmospheric pressure we've had this season is the factor that allowed the 4psi and 2psi variants to happen. It follows and was noted that the .6psi felt the most at home to us -- it's closer to the range of pressures we most often ride. There were a few times when one of us would 'catch an edge', or a rut, or a hunk of ice, and be deflected so substantially that we'd throw out that lap. 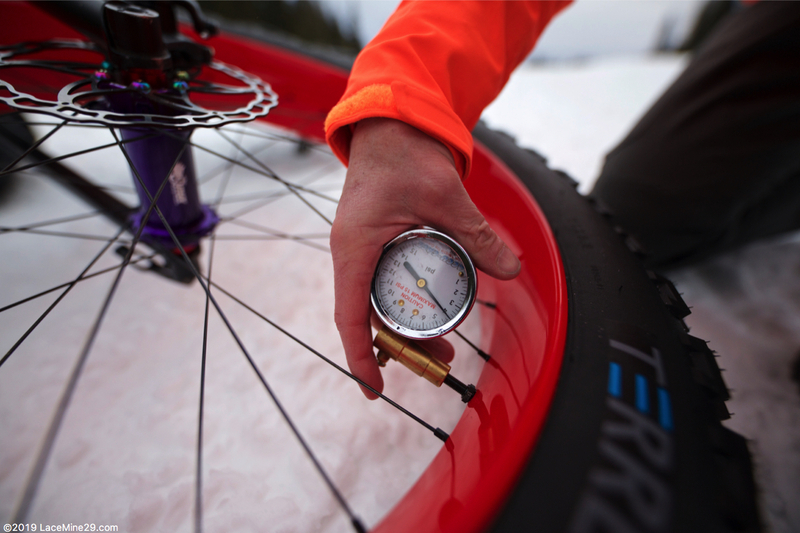 We were testing rolling resistance at a range of pressures -- not riding skill in difficult conditions. So although we both recorded 21 laps in the test, we each rode 40+ in total. We started at 18*f and finished at 29*f.
Here's a very unexciting and flat light time lapse of our hours out there, condensed to 24 seconds to give an idea of the consistent "lap" we rode. I think it's important to recognize from the outset that snow is a dynamic medium. Even controlling for every variable that we could our distances rolled never completely normalized: On the last set of laps, with pressures very low, our distances rolled still varied by as much as 37' over a ~350' span. 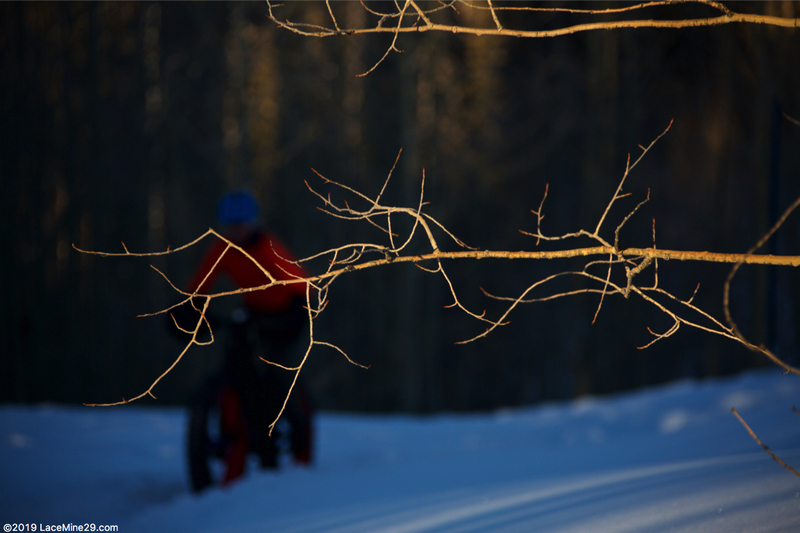 That dynamism has always been one of the more compelling aspects to riding snow, for us. I don't think it invalidates the numbers we collected, it just means we need to focus on the big picture and the overall averages instead of individual values. And those values? They show consistently and conclusively that the 2XL has less rolling resistance at any reasonable pressure and regardless of rider weight. It consistently out-rolled the Johnny 5 for both of us. 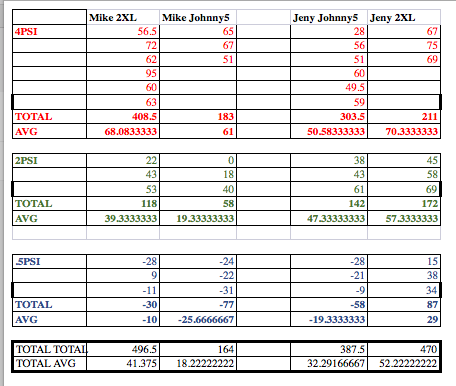 Below is the spreadsheet of our results. The distances are all in feet, and they are measured not from the start point but from a trail marker ~300' into our rollout. Thus a positive value recorded represents 300' plus that number. A negative value recorded is 300' minus that number. 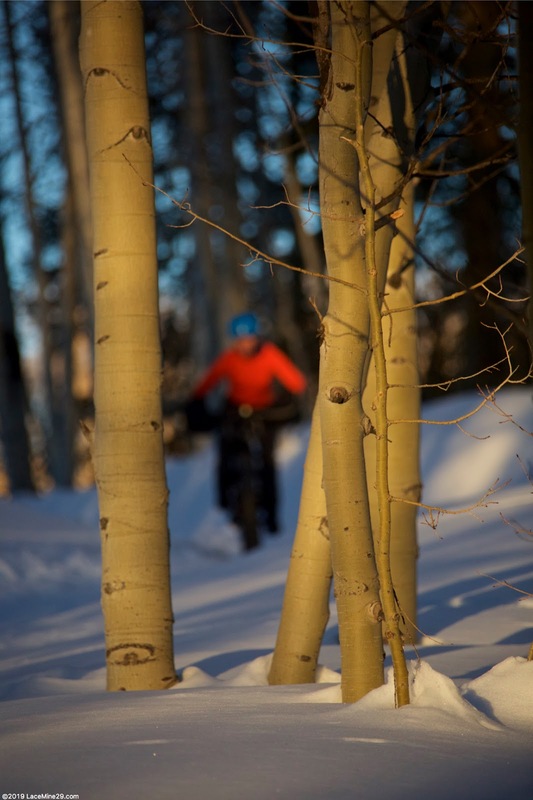 Clearly there are endless permutations possible, based on varying snow conditions, temperature ranges, rider weights, pressures, rim widths, tread patterns, and so many other variables. Astute observers will note that I started this project with the desire to ride more -- more feet per mile -- in difficult conditions. This little test doesn't prove anything in that direction, but it reinforces that the tire that gives me the most float and control when conditions are worst, also rolls better when conditions are good. 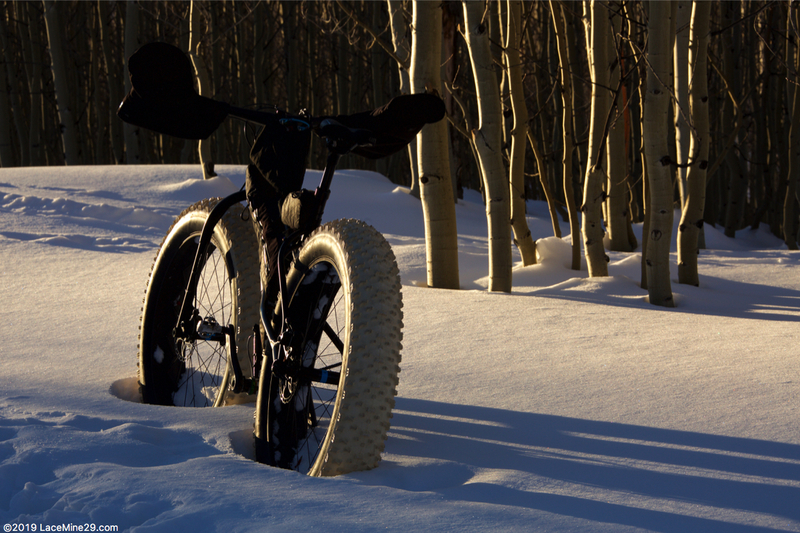 For me, where I live and ride, the 2XL is the better tire everywhere. Now we move on to phase two. I've removed the Kuroshiro/2XL combo from the bike and replaced it with a set of ENVE M685 hoops shod with Terrene Cake Eater tires in 27.5 x 4.5". 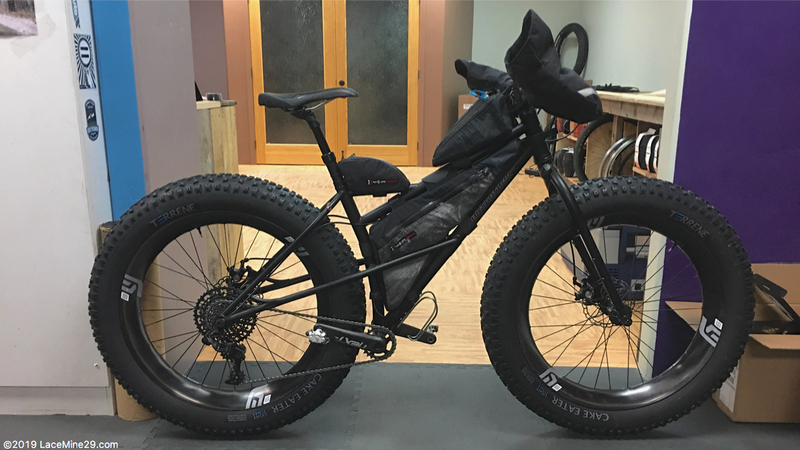 These are the widest 27.5" rims in existence shod with the tallest and fattest 27.5" tires currently made. Now that the high pressure has gone and the storm cycles have begun -- two feet have already fallen up high in the last three days -- we'll have consistently soft, unconsolidated snow to ride them in for at least a month. 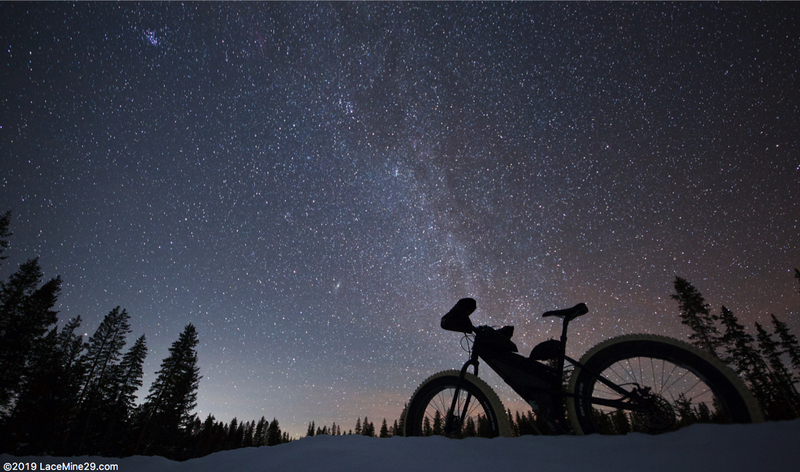 Much riding will happen, and more science too. I'll check back in with progress as things develop. Totally Dig The Time Lapse!! Your Photos Are Always Award Winning. Excellent Write Up. Most of the racers in CB rode with 5-7 pounds of air in the front and 3-6 in the rear. Hope to see you guys at the end of the month at P-Horn. Really digging this series of tests! I am pretty surprised the 2xl went so much farther with more set up snow...! I'll have to give the white compound ones a try, clipped center knobs and all. Interested to see the size differences in the Gnarwhal vs the CE too. Thanks for taking the time to do the testing and write it all up.